The first volume of the Te Ara Online Encyclopedia. Published on the website in 2004, the first theme examines how people came to these isolated islands, initially from Polynesia. 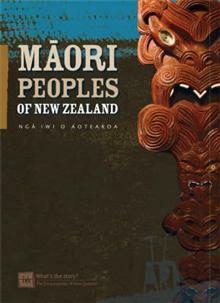 This volume covers the early discover and peopling of Aotearoa by Maori, providing the history and c... read full description below. Who are the Maori of New Zealand? How did they get here and how did they settle the country? What are the main tribal groups in New Zealand, and where are they based? The first publication to come out of the online Te Ara Encyclopedia of New Zealand project tells the story of the tangata whenua of Aotearoa, from their journeys across the vast Pacific Ocean to the histories of all the major iwi, including the contemporary issues they face today. No other book brings together in one place all these tribal histories. Based on the latest research and generously illustrated in full colour with superb mapping and photographs, this rich resource is an essential part of 'our' nation's story and fills an important gap in the history of New Zealand.